Clint Eastwood is a legend and very highly praised for his own roles in movies and directorial films as well. 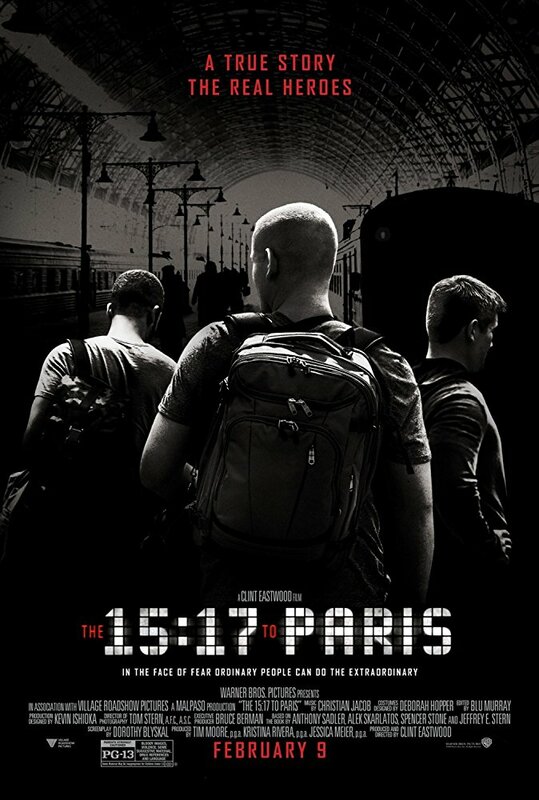 But The 15:17 to Paris, sad to say, was his worst. Cast: Alek Skarlatos, Anthony Sadler, Spencer Stone, Judy Greer, Jenna Fischer. Pros: The only pro thing I can say about this movie is the courage it took to stop a terrorist from killing innocent people. I cannot take that away from this film in the slightest. So much respect for the heroes in this film and the only great scene is the ending scene when they stop the terrorist and it was amazing how brutal it became in the conclusion. Cons: Again, I don't want to take away from the heroic acts of these brave people but Clint should have brought in real actors to portray those heroes. Instead, he used the same people that saved the train and God bless them in every way but their acting was utterly and totally awful. It pains me to say that but there were a lot of scenes that were real cringy. At one point my friend leaned over to me and wanted to laugh and asked about the acting. I mentioned that it was the real heroes and he then realized why it was so bad. Dialogue was also something the writers should have fixed and the scenes of events of their childhood to their present lives was really a huge question mark and felt unnecessary. It was really hard sitting through this film and I felt bad for those three individuals, you definitely realize what a difference professionals make. I sadly do not recommend seeing this on the big screen but if you still want to I suggest waiting for it to come out on Blu-ray/DVD and watch the last fifteen minutes only because these heroes deserve their recognition. 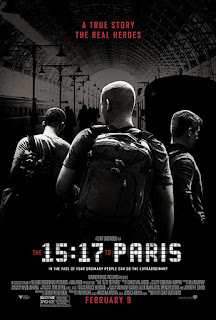 15:17 to Paris as a film was awful and should have been acted out by professionals and written better. Thank you to those courageous heroes, you have all our respect and gratitude.